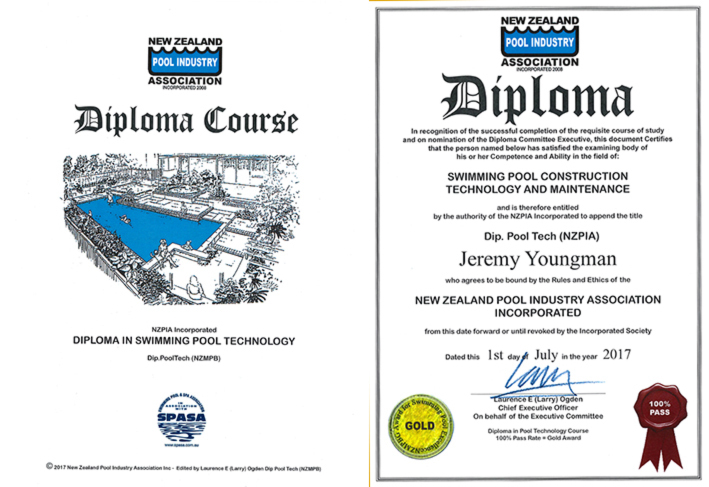 This Diploma Course is open to all Financial Members and current Staff of Financial Members of the NZ Swimming Pool Industry Association Inc . The course comprises twelve Papers covering aspects of pool construction & equipment, pool service, pool maintenance and pool chemistry requirements for pool Builders and Service personnel. The Diploma is a PATHWAY to the NZPIA Inc CERTIFIED BUILDERS LICENSE for Builder Members.